There are 7 Memory Care Facilities in the Oxford area, with 1 in Oxford and 6 nearby. The average cost of memory care in Oxford is $1,900 per month. This is lower than the national median of $4,650. To help you with your search, browse the 1 review below for memory care facilities in Oxford. Better rated regions include Covington with an average rating of 5.0 out of 5 stars. Caring.com has helped thousands of families find high-quality senior care. To speak with one of our Family Advisors about memory care options and costs in Oxford, call (855) 863-8283. Oxford, Georgia, is known as a quaint college town, featuring a branch of Emory University, but residents 65 years and older comprise 13 percent of the population in Newton County. The county has three memory care facilities to serve its residents living with Alzheimer's disease and other forms of dementia. Forty-five minutes away, Atlanta offers 27 additional facilities, and its many suburbs are home to even more. In Oxford as in the rest of Georgia, memory care facilities are known as "memory care units." They operate as special divisions within assisted living facilities and personal care homes. A memory care unit has oversight systems, programs and activities in place specifically for residents with dementia. Memory care patients have ample opportunity for supervised time outdoors in Oxford. The city gets more than 220 sunny days per year, and winters are mild, with an inch or less of annual snowfall on average. Residents considering the area should prepare themselves for hot and humid summers. Oxford's cost of living is similar to the state and national averages, but housing is one shining spot in this category. Families moving to Oxford to be near their loved one in memory care can find housing costs that are 8 percent less than in a typical U.S. city. Groceries are also much cheaper than average in Oxford. Memory care residents enjoy very friendly tax treatment in Georgia. The state does not tax Social Security income, and it has moderate sales tax rates. Seniors 64 and older receive a $65,000 tax deduction on all types of retirement income. There is no inheritance or estate tax in Georgia, either. The city's on-paper violent crime rate is slightly higher than the state and national averages, and the property crime rate is lower. Memory care units have systems in place to protect patients, such as security cameras and lock-down entrances/exits, so seniors and families don't have to worry about their safety. Memory Care costs in Oxford start around $1,900 per month on average, while the nationwide average cost of memory care is $4,778 per month. It’s important to note that memory care rates in Oxford and the surrounding suburbs can vary widely based on factors such as location, the level of care needed, apartment size and the types of amenities offered at each community. To see a list of free memory care resources in Oxford, please visit our Assisted Living in Georgia page. 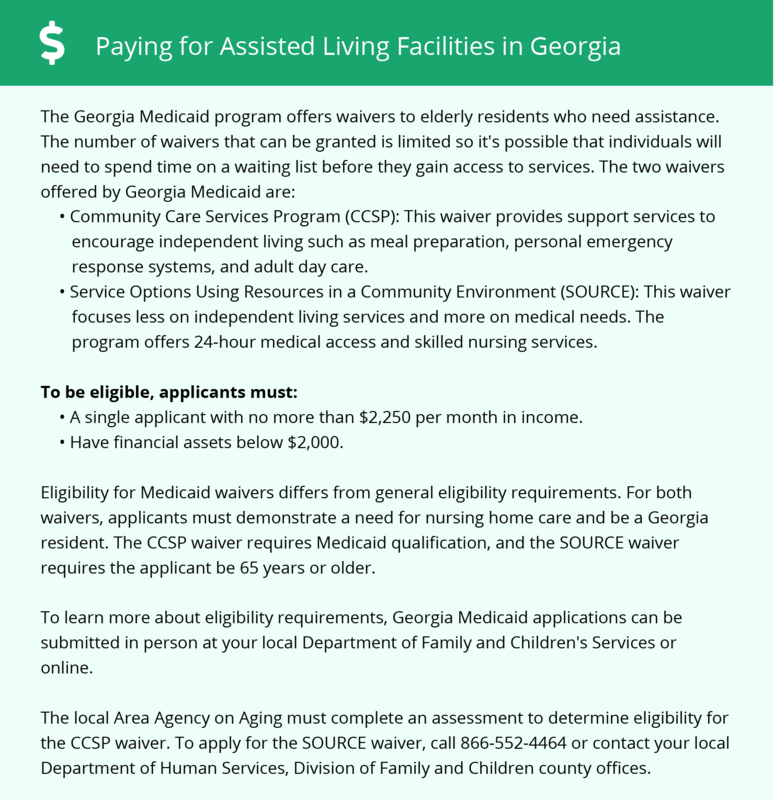 Oxford-area assisted living communities must adhere to the comprehensive set of state laws and regulations that all assisted living communities in Georgia are required to follow. Visit our Memory Care in Georgia page for more information about these laws.